I immediately knew I was going to love this book based on the page of quotes on the first page of the book. They are all quotes that I love and have written down in various spots to reflect on often. Brendan and Blake find out they are going with their parents to a funeral for a man from their town. Neither of the boys wants to go, but they parents insist they must go because it is the right thing to do. Mr. Becket was a kind and generous man that lived eighty-eight years helping others and being a good person. At the funeral, the boys learn about the kind of person Mr. Becket was and the legacy his kindness has left on others. This book instills for kids the importance of making a difference in the lives of others. It isn’t talking about donating hundreds of dollars or asking you take on a certain career, but showing that no matter where you live, how much money you have, or the type of job you do, you can be a good person. Through Mr. Becket’s life, we see the examples of how one person’s kindness, compassion, and giving spirit can spread throughout a whole community. This is something we have tried to teach our children by living in a small town and giving of our time and talents at various functions. We don’t just live in this community, we are part of this community. Mr. Becket led that kind of life and his legacy will live on in the lives of those he touched. I’ve been a fan of Wigu Publishing books for awhile. Their series WHEN I GROW UP I WANT TO BE…. is a great way to introduce different career options to your child through fictional stories based on facts. To see my other reviews from Wigu Publishing books, click HERE. Wigu Publishing is a collaboration among talented and creative individuals working together to publish informative and fun books for children. Our titles serve to introduce young readers to the people in their communities who serve others through their careers. 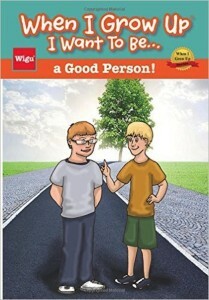 Wigu’s books are unique in that they help children visualize the abundant opportunities that exist for them to be successful and to make a difference. 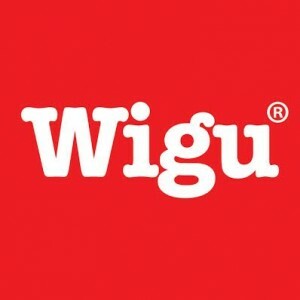 For more on Wigu Publishing, visit their website, HERE. You can also find them on Facebook, HERE, and Twitter, HERE. To see all the books offered by Wigu Publishing available for purchase, click HERE. 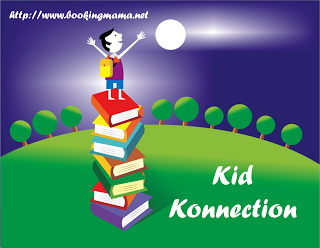 I will be linking up the post with other bloggers on Saturday at Booking Mama’s Kid Konnection. To see other children’s and YA book related posts, click HERE. I love the idea behind this book! Thanks so much for sharing!